Crape Myrtles are America's most versatile perennial. They are long blooming, generally at their peak in August and September. The leaves are dazzling with fall colors in late October and early November. The bark is beautiful at any time of year. 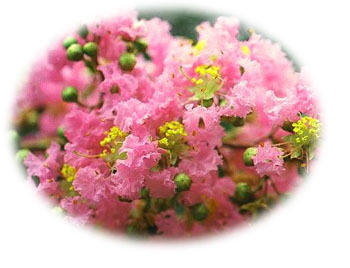 Few other plants offer as many ornamental qualities as Crape Myrtle. They can be used for just about any landscape. They are available in many varieties of colors as well as a large range of sizes, from small and medium shrubs to trees with a mature height of 10 to 20 feet. Clemson University has a good informational factsheet on crape myrtles. View the U.S. National Arboretum's photo gallery of crape myrtle varieties. At Gerbers’ Green House & Nursery we have the crape myrtles for all your landscaping projects, from miniatures for hanging baskets to dwarf shrubs in front of your house to full size trees as a border for your property. We usually have in stock most of the following varieties. Contact us for a complete description and pricing.